The Bentley is our executive chair with a hi-tech style. 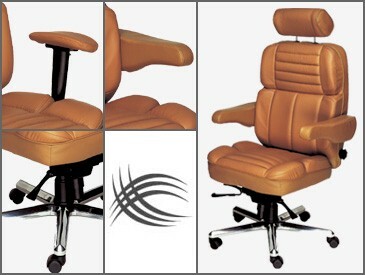 In leather or fabric, it offers total ergonomic design. Work for hours with support and comfort. Perfect for the executive office, conference room or home office. A unique blend of style, comfort and performance.